Ratu gave the great news once again after 4 long years. 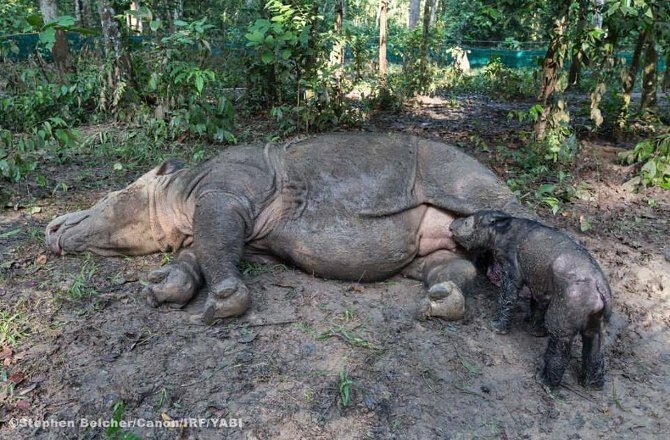 Yes, a Sumantran rhino Ratu delivered a female calf at a sanctuary on Thursday in Indonesia. It can be seen as a great news since this endangered species is facing a tough time. 4 years back the same rhino delivered a baby who was born in an Asian breeding facility for as many as 140 long years. Time was 5:40 am and the place was Sumatra Island. As per the authorities both the mother and calf are doing well and the baby started feeding from her mother. ← Do you know these daily use items cause cancer? Get rid of them today!! !